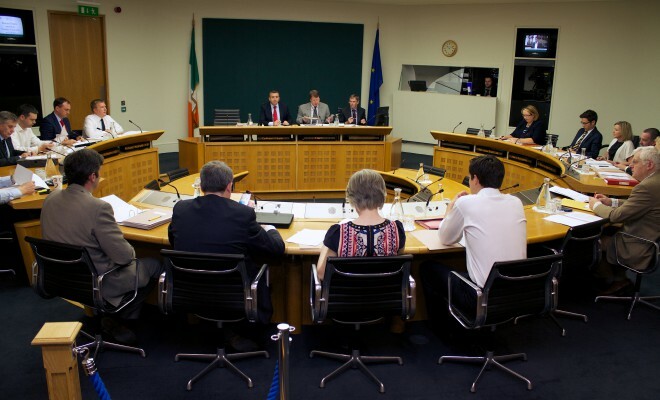 The Committee of Inquiry into the Banking Crisis, colloquially known as the Banking Inquiry, was a joint committee of the Houses of the Oireachtas. It was formally established in November 2014 under the Houses of the Oireachtas (Inquiries, Privileges and Procedures) Act 2013. 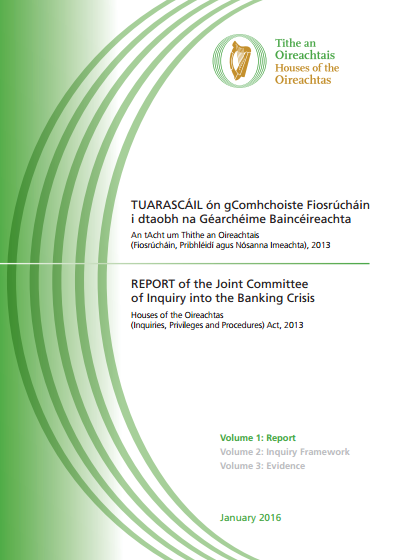 The purpose of the Inquiry was to inquire into the reasons Ireland experienced a systemic banking crisis, including the political, economic, social, cultural, financial and behavioural factors and policies which impacted on or contributed to the crisis and the preventative reforms implemented in the wake of the crisis. Following completion of its investigation and public hearings, the Committee published its final report on 27 January 2016. The final report contains three volumes — Volume 1: the main findings and recommendations; Volume 2: how the Inquiry was run; and Volume 3: the documentary evidence relied upon in preparing the main report.